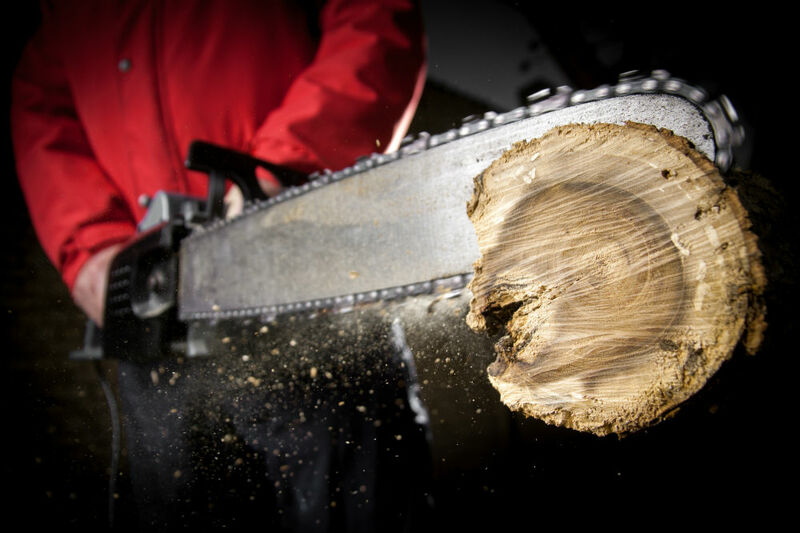 A good chainsaw can save you a huge amount of time and hours of effort. But to do that it needs to start when you tell it to. It can be very annoying and incredibly frustrating when your chainsaw just goes on strike for no apparent reason. Well, we are here to help you to get things going again. 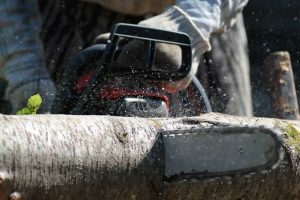 That way you can focus on getting the wood sawed for your fireplace, or keeping an unruly tree in check without first having to shout at your saw. 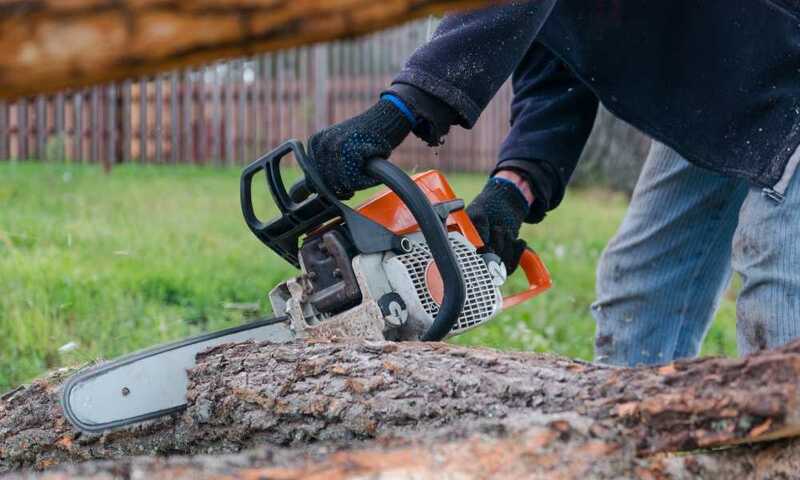 If your chainsaw starts to show problems safety is your first concern. 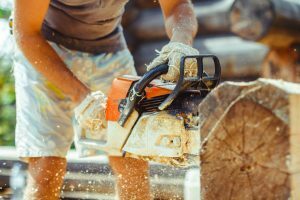 A chainsaw that malfunctions is a dangerous thing, so keep your own safety in mind when you check for problems. It might even be a good idea to first remove the chain completely before you investigate what the source of the problem is. The first thing you need to do when your chainsaw won’t start is to find out why it decided that it does not want to work. 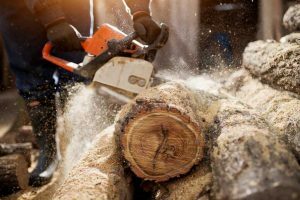 An electric chainsaw will stop working for different reasons than one that uses fuel like petrol and a motor with air filters and spark plugs. If you have a saw that runs on fuel the troubleshooting process will be different from an electric model. So it is important to know your saw, how it fits together and how it uses power. Whether it is through a chargeable battery or directly from an outlet with a cord. 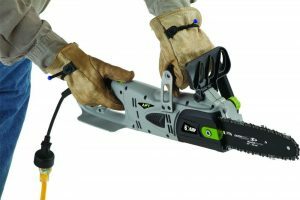 Some saws will work either on a battery or cord, where others rely exclusively on corded power. When you encounter a problem with your saw that seems dead, it is good to start at the beginning and check a few basic things, before you assume the worst and buy a new one. But keep in mind that some good maintenance can prevent a stressed motor or battery. Make sure that the chain is at the correct tension and well lubricated. A dry chain will need a lot more power to do its job. Also be sure to use a sharp chain. A dull chain will really stress out the motor and can lead to overheating and a dead motor. But if you care for your saw carefully and tenderly the next step is to check why the power is gone, and how to fix it. A good way to go about this process is to work in steps, checking along the way what factor might be the problem (not unlike a detective). 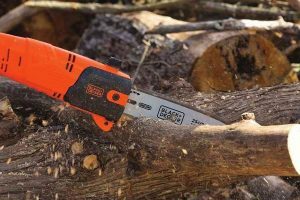 If you use a battery powered saw check that the battery really is charged. If it looks like the battery is dead check if you can find another battery. This is usually the main problem with cordless saws. The battery just does not last forever and even if it indicates that it is charging it does not necessarily hold the charge. Also check the connection points of the battery. Debris and dirt can cause a bad connection and disrupt the power. A clean saw is a happy saw so give it a good brush down after use. 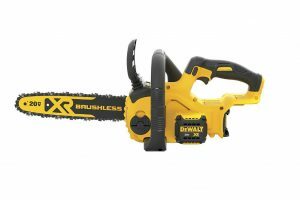 If you can do this with your model, plug the chainsaw directly into a power source to bypass the faulty battery. 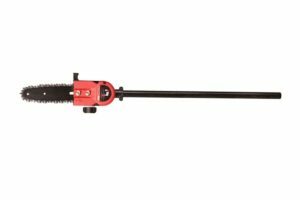 If this works and your saw springs back into action, the problem is definitely with the battery. Remember that an extension cord could also have a bad connection so swap that out and check if it makes any difference. Try a different appliance that you know is in working order and test your outlet and cords. If none of this works, it is time to move on and see where else the problem might lie. The next type of issue may be a blown fuse. Check your user manual to see where your fuses are and what type it uses. You can usually easily finds replacements at a hardware store without breaking the bank. Also check that you did not leave a safety switch in position. Some saws have switches that will prevent it from starting if it is pressed or locked. Another culprit is usually the starter switch. There may be power and your battery might be rearing to go but the switch is not making contact, so your motor does not know it has the support to start moving. Again like before, check that you really have power. Then check all the connections around the switch. If it seems loose, tighten the connections and see if it makes a difference. You can usually order replacement parts from the manufacturer and easily replace a faulty switch. As with any problem beyond your skill set, it is best to call in a professional. If you have tried and tested the power, the switches and the fuses. It might be time to get a second opinion and some professional help. Many saw manufacturers offer good warranties and guarantees so use it while you can. Don’t fiddle with a chainsaw if you are not very sure about how to take it apart and put it back together safely. 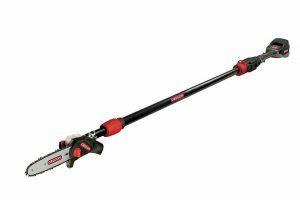 An unreliable saw is not something you want in your toolshed. 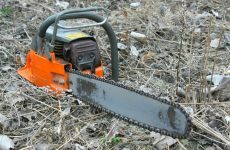 Hopefully our few tips will help you to solve some of the basic problems with a chainsaw that refuses to start. Keep up your good maintenance and it will also help to give your saw a good lifetime of efficient work. Keep the chain lubricated, the body clean and the battery stored and charged according to your user guide. Try not to work too much in rain and snow where moisture can cause rust or decay in the internal workings. After all that preaching you will be glad to know that this is about all from us, good luck with your sawing and other timber related projects.